Fuel available at Accomack County Airport (13nm North East). Courtesy Car: Flying in and want to explore the shore? 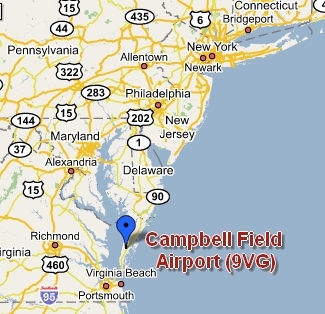 Campbell Field Airport is the only airport on the ESVA with a courtesy car. Please print and complete the Courtesy Car Agreement and leave it with us prior to using the car. The keys to the courtesy car are located in the Pilot's Pub. The four digit combination to the pilot's pub is the CTAF. The only thing we ask of the driver is that they replace the fuel used. Camping is allowed anytime. There are wooded and open areas to camp. No facilities unless the office is open. What to do after you land? Scroll the map and click on icons for ideas. Notice: All aeronautical and other activities at Campbell Field Airport are recreational in nature and no payment is ever required for use of the premises. In compliance with Virginia Code Section 29.1-509 the landowner shall owe no duty of care to keep land or premises safe for entry or use by others. Campbell Field Airport is to be used at your own risk. 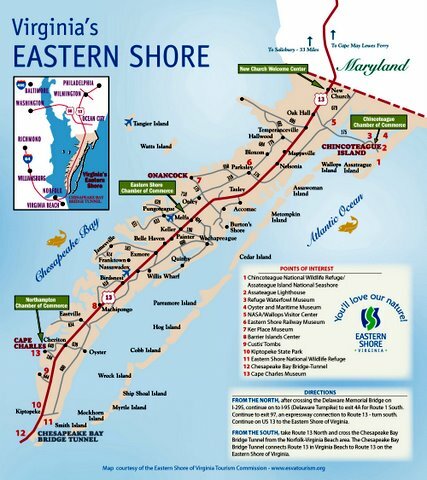 Click here for current aeronautical charts of 9VG or any airport. Runway 3/21 Notam: Power line, 60ft AGL 300 Ft. South of RWY 3 Courtesy of A&N Electric Cooperative. Power line is well marked with orange balls. Effective landing distance RWY 3 is 2200ft. Obstructions: Powe line, 60ft AGL, 300 ft. from runway. Effective landing distance RWY 3, 2200ft.